The Schusterman Center supports a flourishing publishing enterprise, producing scholarship that advances Israel studies discourse and teaching. The multidisciplinary journal Israel Studies, edited in collaboration with and co-sponsored by Ben-Gurion University of the Negev, is produced three times a year and contains the latest scholarship on Israeli culture, politics and history. 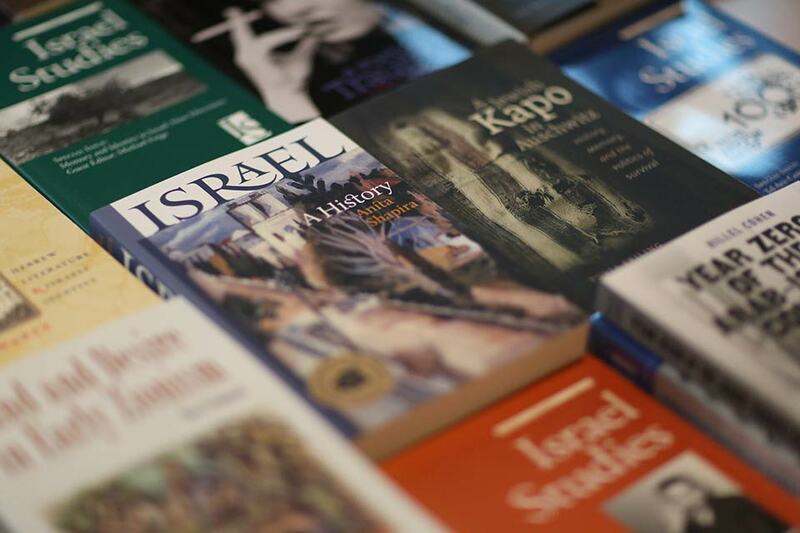 Our books have won national and international awards, providing an English-speaking audience with the latest research on all aspects of Israeli history, society, politics and culture. The series Perspectives on Israel Studies is published by Indiana University Press on behalf of the Schusterman Center (Brandeis University) and the Ben-Gurion Institute for the Study of Israel and Zionism (Ben-Gurion University of the Negev). The Schusterman Series in Israel Studies is published by Brandeis University Press on behalf of the Schusterman Center.